Starting next year, private vans that ferry kids to school will have to register with the authorities as part of a standardisation and amnesty process, The Star reports. 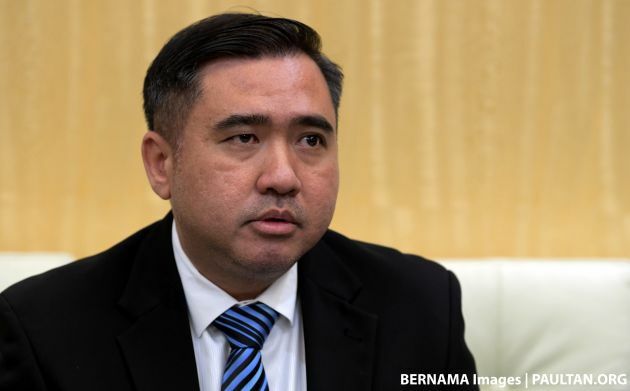 Transport minister Anthony Loke said this was necessary to create a more organised school transport system and to ensure safety of the pupils. “It’s a very community-based service where the parents offer the driver some money to cover the fuel costs. It has been around for at least 30 years but the registration needs to be done so that parents are ensured a safer and more organised system of sending their children to the school,” he said yesterday. “We are only targetting private vehicles like vans ferrying 15 to 20 students at any one time and are currently unregistered,” he added. Parents who send their own children and their friends to school will be exempted. Loke recognised the need for private car school transport as there were insufficient school buses. “There is only one school bus for every 266 students. It is not enough. However, it becomes a grave concern if the driver does not meet the safety requirements. They have no insurance, they don’t go for the vehicle inspection and as they are not registered, we don’t know who they are,” he said. The minister added that he’s expecting some resistance from such drivers, but stressed that the move was in the everyone’s best interests. This comes after the government put in place a timeline for the regulation of Grab and e-hailing drivers, who must next year undergo the Public Service Vehicle (PSV) course and get the PSV license, as required for taxi drivers. The period to comply is from January to July 2019. Syabas Transport minister kuat kerja! You won’t be cheering when you get hit with increased costs because of these actions. so what do you expect, implementing good thing which impacts to your pocket will consider as bad thing? Yes it is. The safety will cost you. You can save not to opt for safety, but when its fail, it will cost you more than you could afford. I am everyday picking my son from school after my work and together with my neighbor son, is that mean i have to report and register as well? Please read the whole article before commenting. Too many new regulations for a new govt. Pls review and ensure you’re able to enforce existing ones, before coming out with new ones. Yes it’s good to have better regulations for safety reasons, but regulations without enforcement is useless, and definitely not a popular decision for a newly formed govt. Child seats, hind passenger seat belts, mat rempits, clone cars, plenty of issues to clean up before rolling out new ones. Take it slow Mr minister. This joker setting more and more ridiculous guidelines and license. The majority of ppl that make up to be grab drivers, school bus drivers are all middle income which are also the majority. Wonder how long is this going to last. This should have been done long ago. Lucky Loke has brains and is doing it now. Always there is Pro and Cons. If everyone abide the law and follow it that will be easy. We need a daring head to implement the long outstanding issue. If everyone play try and see game, our country will forever in 3rd world mentality. you are right bro. people voted for change. but when change kick in, they prefer remain as is it. They only look at the negative side of it. Gov change, rakyat no change. same je. Chnage name saja, but its the same old politicians from Older MY in charge now. 2×5 = 5×2. Why you don’t focus on more important things like getting rid of Mat rempits, beating traffic lights, traffic jams, bad roads, tolls etc? So far e-hailing has suffered under your watch …. But still you are a million times better than BN!